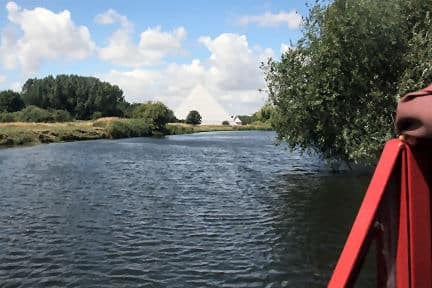 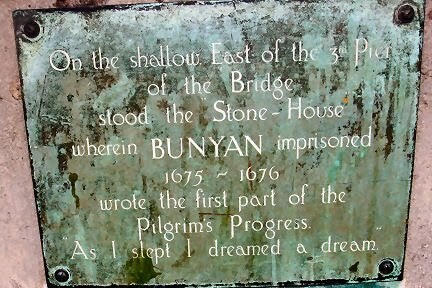 Though tricky to moor here (gusty, shallow, angled bank) our location beside the weir leaves us in a very conspicuous place: draw a triangle across the river with its apex at the weir and the base line between the Embankment Hotel and the Castle Mound, and you’ll see us. The view is good, straight down to St Paul’s Church spire, the Swan Hotel, the new Castle area development and the Mound. 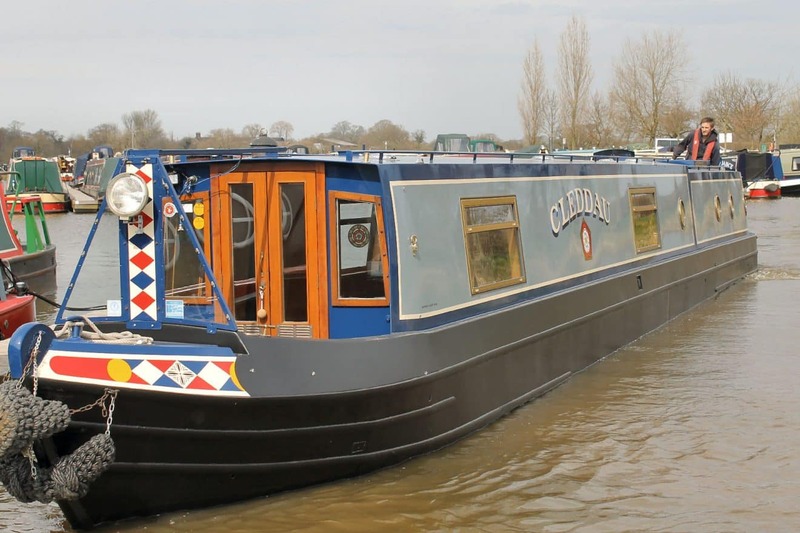 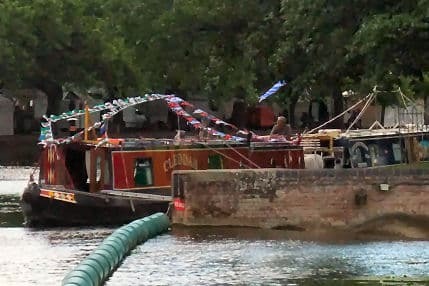 Ken has spent a happy afternoon rigging bunting and light decorations so that we will be “dressed overall” for tomorrow… We didn’t end up beside the Bedford – Milton Keynes Trust boats (they’re a lot further along) but we’ll be draping a banner for the cause. 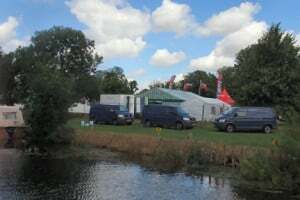 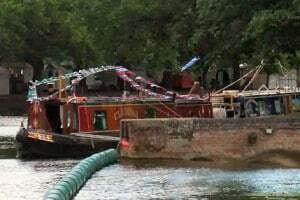 As for the QI bits: creeping in behind Mill Meadows you could see banks of loos, traders’ vans, the community stage, lots of focused activity. . On the river we’ve espied the Mayor’s Launch, the BBC Three Counties launch and two cruisers with sails rigged. 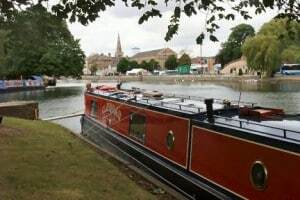 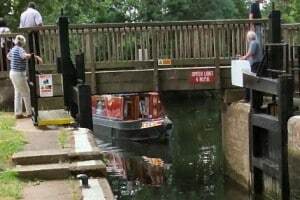 One has even sailed down to Town Bridge and back.